This is author’s first work set in Alabama in the 1930s.The way the author has managed to create a magical narrative is simply exemplary. As a book ‘To kill a mockingbird by Harper Lee’ needs no introduction at all. Each one of us would have heard / read it or done both sometime during our school days! 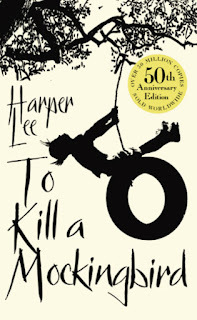 Shoot all the bluejays you want, if you can hit’em, but remember, it’s a sin to kill a mockingbird. The author of the book Harper Lee is a very well known name and there is a lot written about her all over but here I would like to share what is written about her on the backside of this book as I feel this truly befitting. Like I have always said before I was introduced to reading pretty early in age as my mom is a voracious reader and more than her is my grandfather. I first saw this classic on his book shelf which I was perhaps 10 and I remember asking him to read it. He smiled as he handed it over to me and said,’ will wait for all your questions when you are done.’ I am sure I must have gone back to him with tons of questions given the curious cat that I am but sadly I do not have any memory of that discussion or of reading this book. So when Random house gave me a chance to review this one I grabbed it greedily as the only thing I remembered was that I had enjoyed reading this book. The naivety of childhood and the battle of the conscience along with some beautiful unforgettable lessons of life is how I would like to sum up this book. It’s an experience of a lifetime to read this book as every age you read it, it manages to show you something new and different each time. Once a masterpiece – always a masterpiece! This Pulitzer prize winning book is a must read for one and all sheerly for the brilliant work done by the author in writing this that has ensured that today even after 50 years of having been written it continues to be bought, sought, read and devoured! 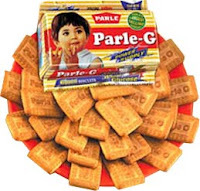 This book is like Parle G biscuits for Me- Crunchy, crisp, delicious and reminds me of my childhood every time I take a bite. I'd wanted to read this book for a long time!! I actually borrowed the 50th anniversary edition from my friend. But unfortunately, my exams were about to start and I couldn't read beyond a few pages. I'm definitely gonna read it soon!! Oh you should Ruya..its too good a book! !